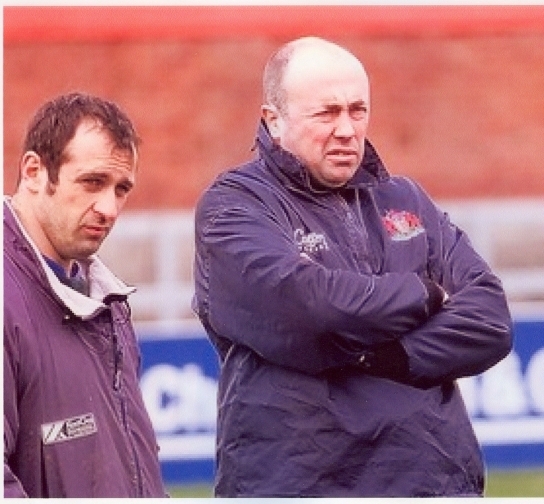 John Brain was a hard scrummaging lock and motivational coach who played 260 games for Gloucester. He went on to coach at Gloucester, Worcester and Bristol and, as Director of Rugby at Worcester, took the club into the premiership for the first time. Brain played representative rugby for English Students, England Under 23 and the South West. John Brain was born on 7 June 1960 in Gloucester. His parents ran the York House Inn in London Road. 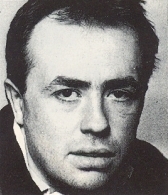 He was educated at Kings School, Gloucester and at Bristol Polytechnic, where he studied law. He played rugby for Gloucester Old Boys before joining Gloucester RFC in 1979. There were limited opportunities at Gloucester for the young lock in his first three seasons. He was commuting to Bristol to attend the Polytechnic and on March 11 1981 played for Bristol Polytechnic against the Polytechnic of Wales in the British Polytechnics Sports Association Challenge Cup Final. When available for Gloucester, he was competing for his place against British Lion Steve Boyle and future England captain John Orwin. Despite this, his potential was recognised in May 1982 when he was picked to tour Italy with the England Under 23 side. He played in all three games on the tour, which resulted in victories by 15-0 and 21-10 against Italy Under 23 and Italy B and a 12-9 defeat by the full Italian side. He joined Gloucester Council as a trading standards officer and established his place in the Gloucester side in the 1982-83 season. He gained a reputation as a hard-working, hard scrummaging “no frills” lock, playing 41 games in 1984-85. In 1987-88 John Brain’s consistent performances gained him recognition by the South West selectors and he played in all three South West divisional games. In the latter part of 1988-89 he lost his place in the side. He approached 1989-90 with typical determination having decided in his own words that it was time to “buck up or get out”. John regained his place in October 1989 and went on to play a leading part in one of the most successful seasons in the club’s history. Gloucester finished runners-up in both the Courage Championship and Pilkington Cup and John Brain played in the Pilkington Cup Final at Twickenham. Further recognition followed in September 1990 when he was selected to play for the South West against Leinster at Kingsholm, but this was to be his last season with Gloucester and in 1991-92 he joined Bedford for the final two years of his playing career. On retirement as a player, John Brain continued to be involved with rugby in various capacities and was working as a part time assistant coach to Philippe Saint Andre at Kingsholm when he was approached by Worcester Warriors and offered the job of head coach. Although recently promoted to head of his council department he accepted the challenge and went on to guide Worcester Warriors into the Guinness Premiership for the first time in their history. Their success was based on a powerful pack, which were a credit to his coaching and motivational skill. After the Warriors came a stint as forwards coach with Bristol. He remained living in Gloucester for the ten years he spent away from the club and in 2010 returned to become initially a talent scout and analyst and latterly scrum coach and team manager with Gloucester Rugby. A Gloucester man through and through, John Brain was looking forward to further success with Gloucester Rugby when he died suddenly at his home in Gloucester on May 27, 2012. He was 51.